I’ve always wanted to try Thai foods, but something is keeping me from trying. First, I don’t eat vegetables. Second, I might not like how it tastes. 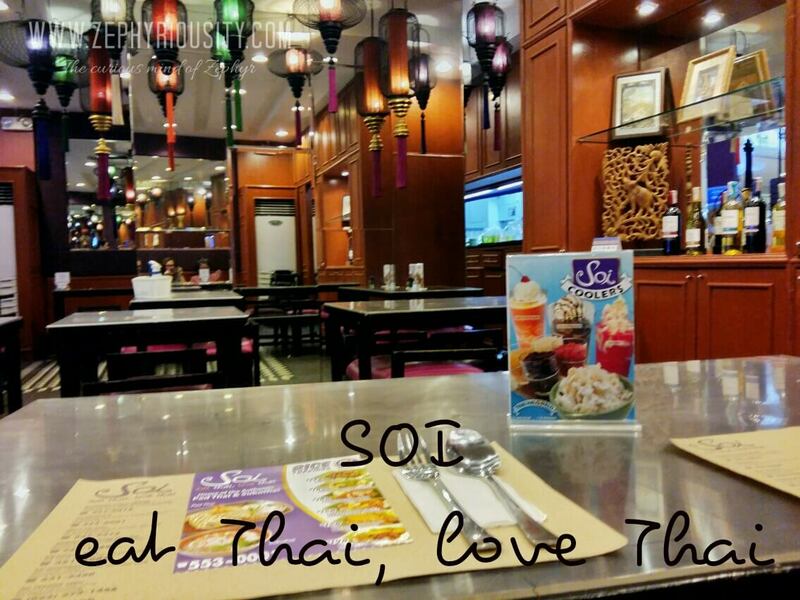 But last Friday night, I decided to go Thai with a friend. Me and my friend decided to eat something new and different for the first time. Somehow, both of us seem to be finding new and delightful dishes. This is how we ended up at Soi. Before we entered the restaurant, we looked for the food prices first. We didn’t want to spend much for that evening actually. We were glad that they have dishes that worth less than P200.00 for a person. 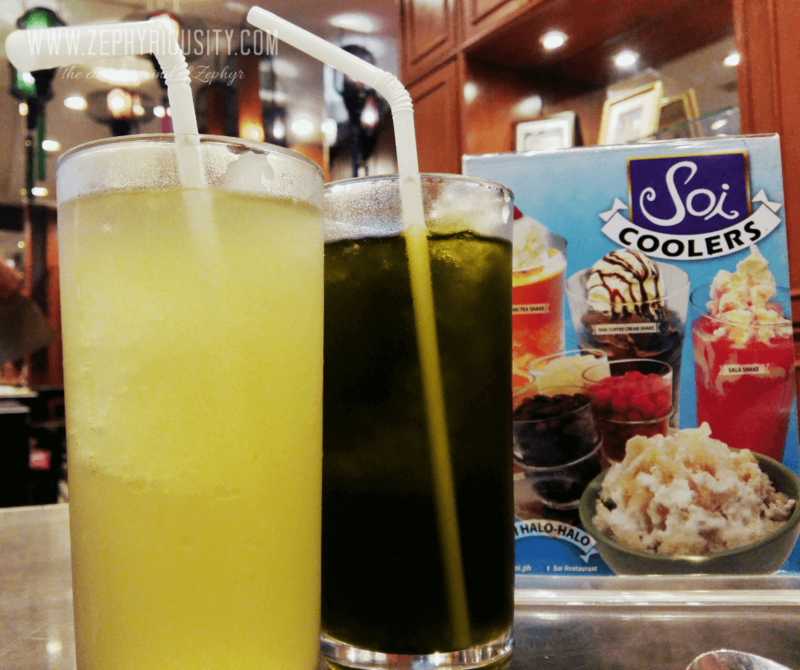 Looking at the menu, we decided to order Breaded Pork Chop with Yellow Rice served with Pandan Iced Tea and Fish Fillet with Black Pepper Sauce Topping served with Pandan Iced Tea (but I saw the Lemon Grass Juice so I have mine upgraded to that – bottomless). But somehow, we were not satisfied with our orders. I asked for the menu again and saw Pad Thai. I’ve always been curious about that food so I asked for a Chicken Pad Thai. While my friend has been eyeing this Seafood in Yellow Curry dish and ordered one for herself. 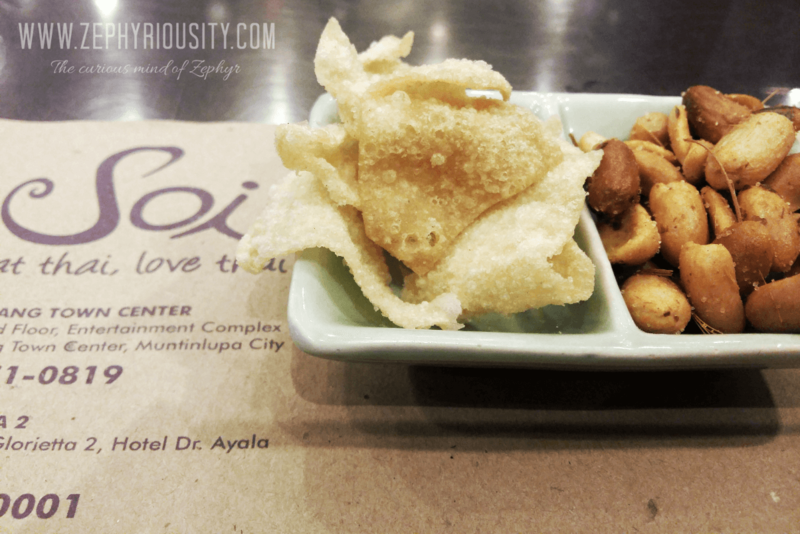 As we wait for our food, Soi served us these delicious appetizers: Spicy Peanuts and Chips (sorry for my bad memory, I forgot how exactly this chip/crackers is called). I love peanuts and spicy foods, so when I tried Soi’s Spicy Peanut, I ordered one for a take out. Overall, the place looks really good. The ambiance was great, and the music was soothing to the ears. I guess, it is safe to say that I do love things from Thailand. The crew also entertained and served us well despite of the numbers of the customers they have that time. Spicy Peanuts and Chips – 5/5. Because seriously, you have to try it. Definitely delicious. Free but you can buy for less than 100 – both peanuts and chips. Fish Fillet in Black Pepper Sauce Topping – 5/5. 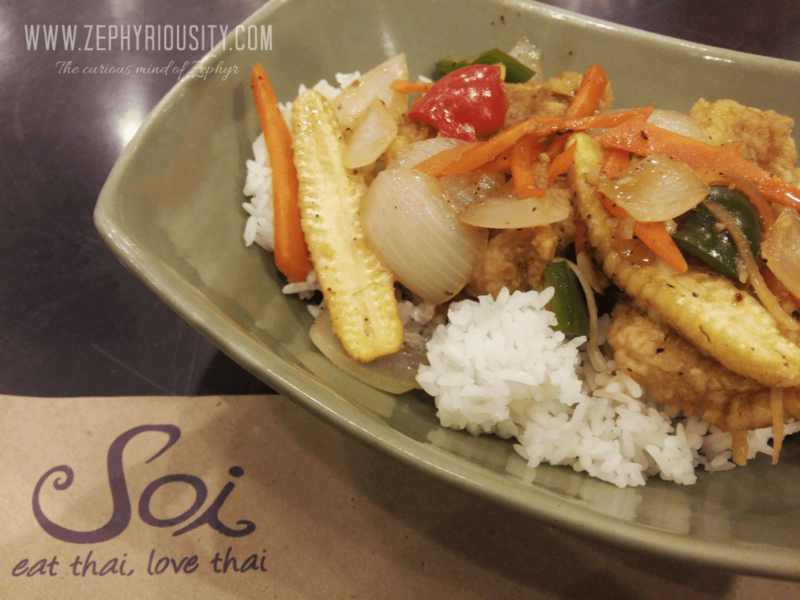 I’ve tasted so many fish fillet from various restaurants, and for me, this one from Soi is one of the best! 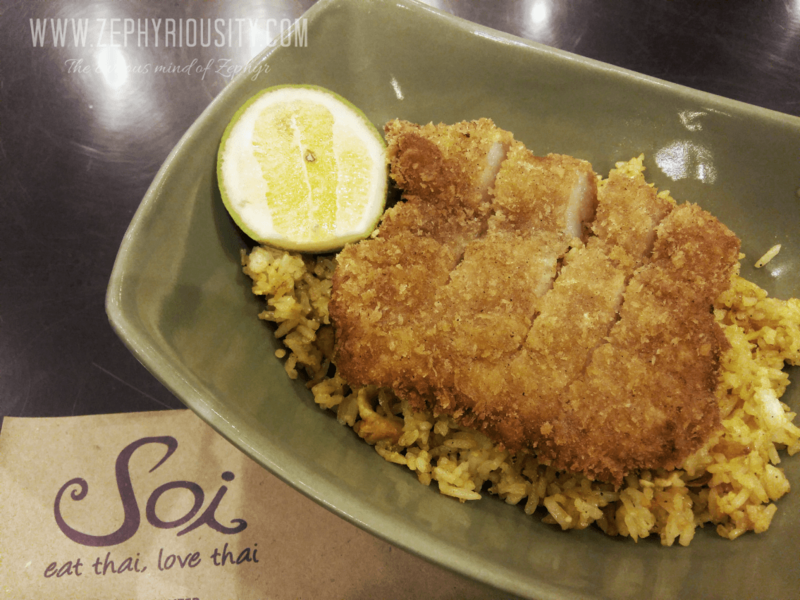 Breaded Pork Chop with Yellow Rice – 4/5. Yellow rice is deliciously epic. While the breaded pork chop was just okay. 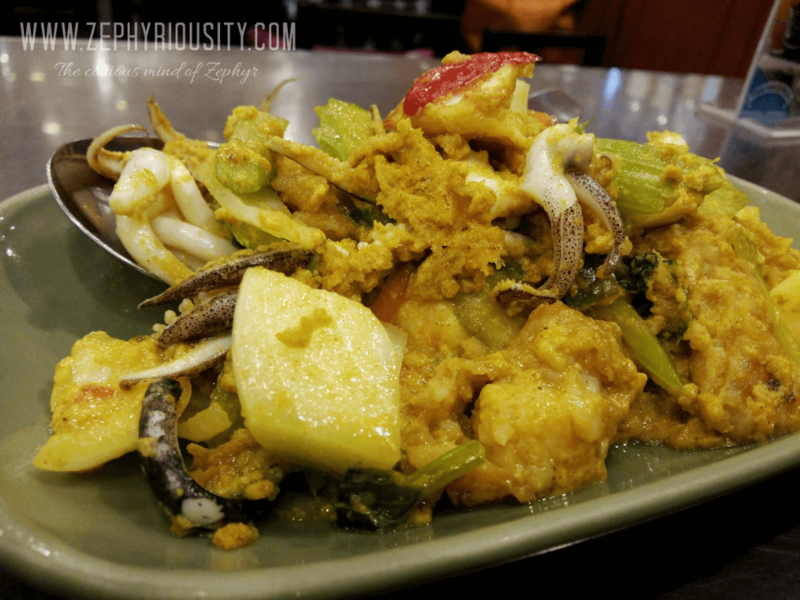 Seafood in Yellow Curry – 3.5/5. This was new to me. I love curry, but there is something that seems to be missing in this dish. Moreover, Soi made me eat Squid. 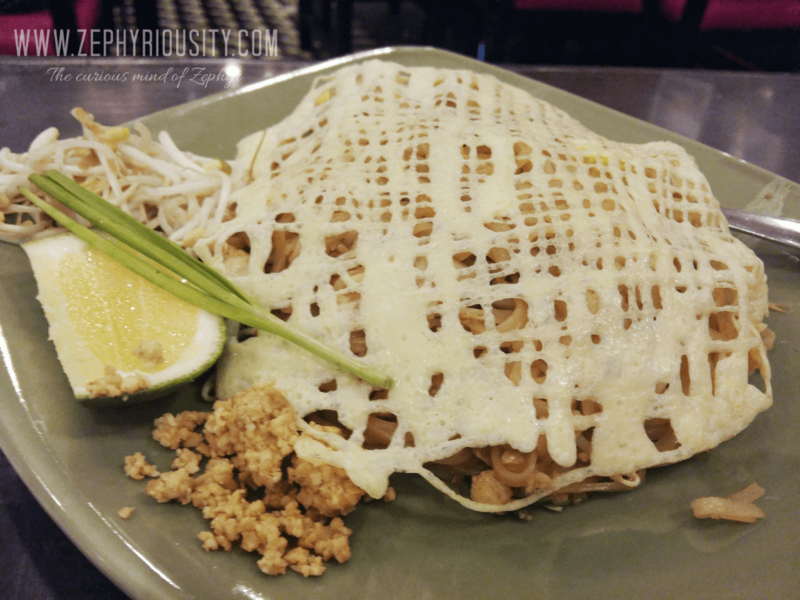 Pad Thai – 4/5. First time to try Pad Thai! I never thought that this noodles tasted so good. Will definitely order on my next visit. 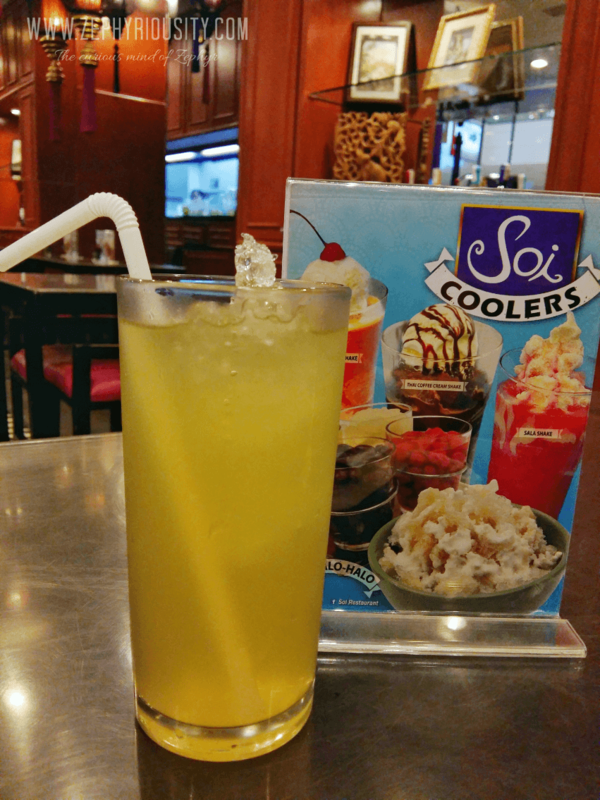 Lemon Grass Juice and Thai Pandan Iced Tea – 4/5 and 5/5. These are not our usual or daily drinks, but they were amazingly tasted good. I’ve tried lemon grass juice before, but this one is more authentic. 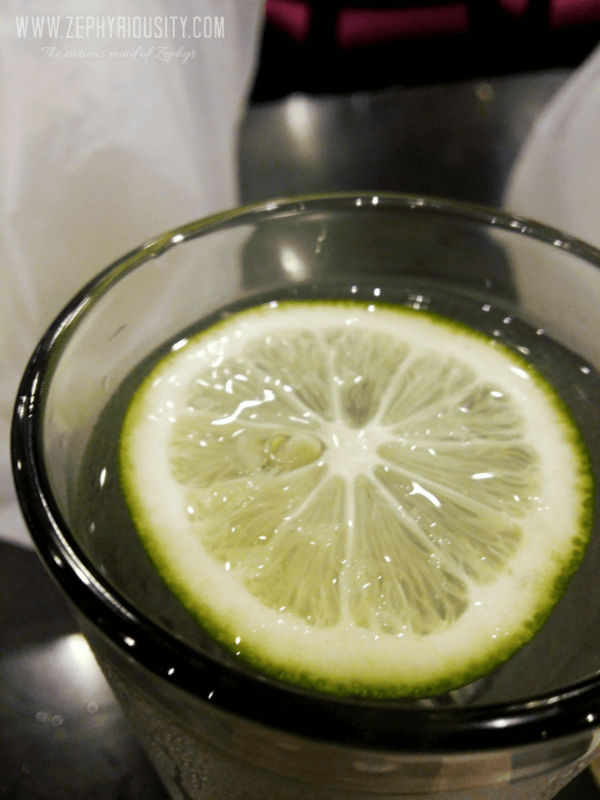 While the Thai Pandan Iced Tea is something to ask for a bottomless order. 3.5/5 – Though they served us well, we can still notice that some of the crew was not paying attention. We understand that they somehow forget our waters and gave us our bill instead. The restaurant was jam-packed. 4/5 – Worthy of how authentic their dishes are. For an hour or so, it felt like I was in Thailand. If you want to go Thai, I highly recommend this place. You will never regret it.